This year’s London Indian Film Festival boasts an incredible selection of film viewing over the next week. Not sure what to choose? Here are a few bite sized mini-reviews to whet your appetite. Last year I had the pleasure of screening the LIFF 2016 presentation of the Bengali film Cinemawala, which presented a fictional view of the decline of the traditional Indian cinema hall in the face of changing technology and an ever growing market in pirated films. This year, LIFF 2017 presents the documentary The Cinema Travellers, directed by Shirley Abraham and Amit Madheshiya, which touches on a similar theme: the decline of travelling film projectors and their operators, again in face of a changing technological landscape. The film made a stunning debut at the Cannes Film Festival in 2016 and has gone on to screen to enthusiastic and appreciate audiences on the festival circuit – even screening as the opening film to my own local Guelph Film Festival in November 2016. I fell in love with it immediately, and was delighted to see it included in the LIFF 2017 schedule. 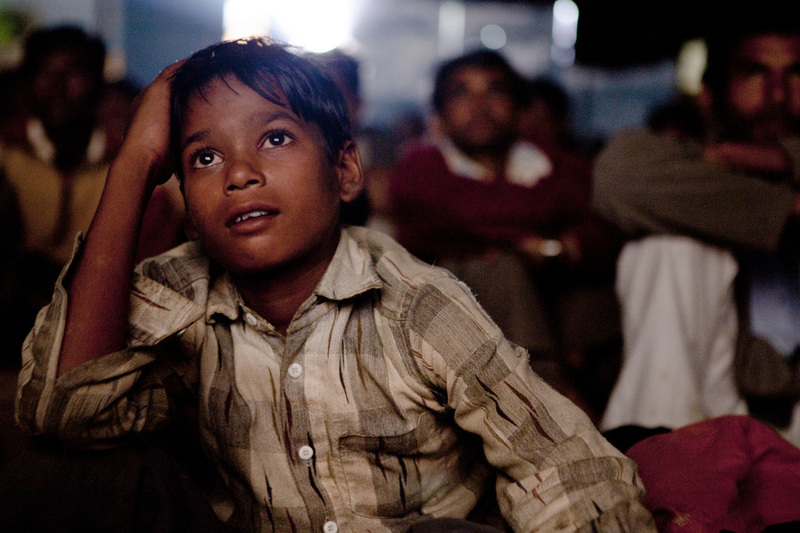 Abraham and Madheshiya delve into the world of India’s cinema lorries – trucks that carry an old-school film projector and a makeshift screen to remote and far-flung areas of the country. Their film is a touching look at a profession with a long and rich history that is on the verge of disappearing in a world where digital is king. Touching and beautiful, as well as essential viewing. 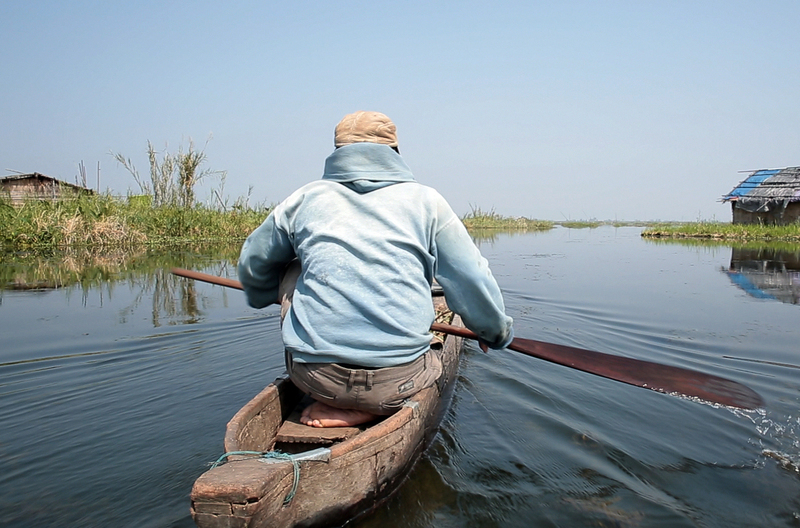 Manipuri documentary filmmaker Haobam Paban Kumar returns to the phumdi (a floating biomass) of Loktak Lake (which he explored in his award winning 2006 film Phum Shang) with his first fictional feature film Loktak Lairembee (“Lady of the Lake’). The phumdi are the primary source of livelihood for those living on the lake; the women of the community have been leading a fight to preserve their right to live and work there, even as authorities threaten to destroy the phum and remove them from their homes. Grappling with the stresses of an uncertain future, a fisherman (Ningthoujam Sanatomba) finds a gun and begins seeing a mysterious woman in the phum. The old woman makes him uneasy; the gun emboldens him. Kumar’s film, laced with dramatic visuals and paired with its mysterious ending, works best in those moments that retain a documentary feeling; however, it is a rare and frequently fascinating glimpse into this unique community and its issues. The official Marathi language remake of the successful Tamil film Kaaka Muttai (“Crow Eggs”), Half Ticket tells the story of two slum-dwelling brothers and their quest to try that exotic delicacy: pizza. Like the Tamil original, the film rests on the charm of the two brothers (here played to perfection by Vinayak Potdar and Shubham More). The film’s warmth is balanced by a sadness reflecting its underlying messages, but ultimately the determination and resourcefulness of the two brothers in their quest for pizza is, perhaps, the film’s greatest strength. A must-see, partcularly if you have not seen the Tamil original. Vishal Furia takes the horrific subject of female infanticide and turns it into a truly creepy, heart-stopping horror thriller. Neha (Pooja Sawant), eight months pregnant, and her husband escape goondas by hiding out amongst the sugar cane fields of their driver and his wife, Tulsabai (Usha Naik, who also appears in Half Ticket). Neha soon realizes that she is caught at the very centre of a frightening web of lies that threaten her unborn child. Furia’s film lays twist up on twist right to the film’s final moments, and both Pooja Sawant and Usha Naik deliver fine performances that had me alternating between checking that I was still breathing and reaching for the box of tissues. Lapachhapi is a must for those who love well-crafted horror.